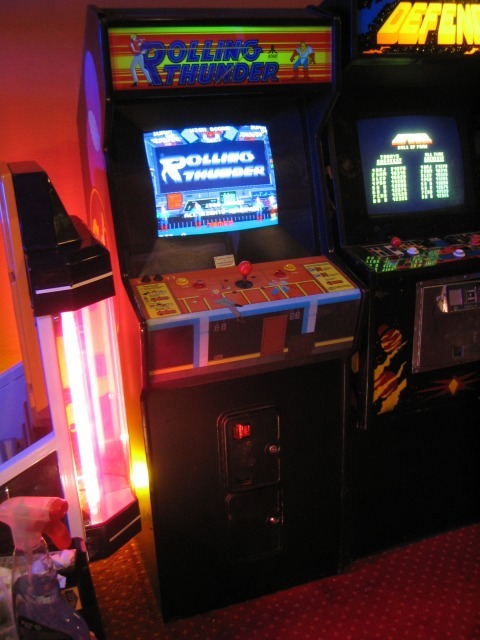 So I've set the Rolling Thunder world record on Mame. 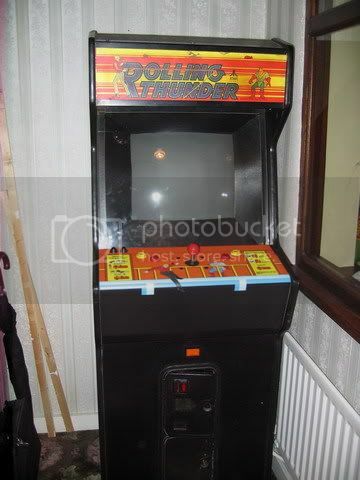 It's time to get serious and take the arcade record So first step, I need to get access to a machine.... Someone on Jamma+ points out there is one on EBay! I think it's slightly overpriced and put an offer in, it's ACCEPTED No messing around, I want this before Christmas, so I arrange to pick it up the next day! It's in Southampton so a couple of hours drive, lets plan the route. And of course, our favorite drink, DR Pepper! We have some pasties and other drinks but they are tucked away in the back of the van. So we set off and half way round the M25, can you believe it, it's clear! Money is exchanged and Jon has one last touch. This is now MINE!!! I'll just have to keep my eye out for a NOS one (not likely) or do myself a vector of the CPO too and a get a proper reproduction done!!!! I'll definitely message FuckyCochise. Bruno didn't you have a faulty board? Are you keeping it as a spare or would it be up for sale? Any spare parts are useful, the board has lots of custom chips! I've got 4 spare Rolling Thunder boards. I can check them all again and I'd be happy to pass one on to you if you want ? Let me introduce into the topic. In fact, I already own a rthunder pcb that was working. It was covered with a sticker. So if a good soul out there have a broken pcb or is able to create one of these chip would be great ! I have a programmer, but unfortunately it does not support this chip type. Remember these are a program once only chip, so make sure you definitely have the right ROM when burning it. I posted a thread in Jamma+ and there were a few people on there with programmers that were capable of burning the chip and more than willing to do a burn if supplied with the blank chip. overall for the cross refs Sheet. Excellent, did you get them to program it for you?